New Jersey Senator Frank Lautenberg is a phony! Home → Damien Zone → New Jersey Senator Frank Lautenberg is a phony! The headlines in New Jersey are screaming: Sen. Lautenberg to introduce bill cracking down on college bullying in wake of Rutgers tragedy. We at TheDamienZone consider Lautenber to be a sanctimonious corpse. He was the big bully who helped to push out New Jersey’s gay governor Jim McGreevey so that he could re-take (illegally) his seat as the NJ senator even though he is about 100 years old. Has the old mummy forgotten that he and Corzine pushed the poor little “gay American” under a bus when a corruption scandal erupted in the MacGreevey administration? If you think that wasn’t all about the gay issue — think again. If MacGreevey had been just another corrupt Democrat, they would have covered for him. 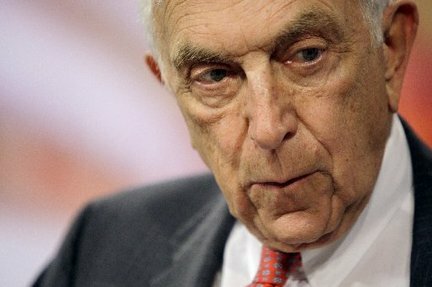 Frank Lautenberg is a jerk and a liar and a nothing senator who has never done anything. Sarah Palin says: "Jersey Shore Guidos become gay after Labor Day."